Roger Farmer is a well-known, iconoclastic economist skilled in the advanced mathematical arts necessary to construct the dynamic stochastic general equilibrium models (DSGE) that have informed, and continue to inform mainstream macro’s response to The Financial Crisis and The Great Recession that followed. In a recent series of papers and books, Farmer proposes to discard some of his neoclassical methods and models, in which agents 1) form rational expectations, 2) make choices as if they were effortlessly solving constrained optimization problems, and 3) find themselves occupying an equilibrium position from which there’s no overriding reason to move. In place of this orthodox conception (see Lucas), Farmer proposes to reintroduce Keynes’s notion of “animal spirits” as a new “fundamental variable,” alongside “preferences,” “technology,” “endowments,” etc. More specifically, in Farmer’s mind, “animal spirits” are unpredictable changes in beliefs about the future path of the stock market, which Farmer regards as a good surrogate for “Wealth,” andwhich, in Farmer’s model, drives both consumer spending and labor force participation by households and business firms’ recruitment offices. Roger Farmer is among the most innovative and eclectic economists of his generation, a first class mathematical economist who is willing to explain his theories and models in words, and to engage with unconventional economists on a variety of theoretical and practical issues. Farmer calls his work “both neoclassical and ‘old Keynesian’” (2017, p. 173). Although he adopts a general equilibrium framework to model the macroeconomy and has often incorporated rational expectations within his models, Farmer now believes that “animal spirits” should be modeled as a new fundamental” (ibid.). More specifically, Farmer seeks to explain the connection between the ideas developed in his recent books and papers and “those of economists who self-identify as Post Keynesians.” In this particular paper, which was originally prepared for a conference on pluralism in economics (Farmer 2016), and which also appeared as an NBER working paper (Farmer January 2017a), Farmer explains the common elements among these disparate approaches, and makes the case “for unity between Post-Keynesian and General Equilibrium Theory under the banner of Post-Keynesian Dynamic Stochastic General Equilibrium Theory” (2017, p. 173). In addition to his technical papers, Farmer has also put forward some of his arguments in favor of a Post-Keynesian DSGE theory for the broader public in his recent book, Prosperity for All (Farmer 2017b). Proposals calling for the unification of macroeconomics around the DSGE model aren’t new. An especially aggressive case for the exclusive use of the DSGE approach was put forward by University of Minnesota economist, Varadarajan V. Chari, in testimony before the U.S. House of Representatives (2010). Chari was defending mainstream macroeconomics in spite of its apparent failure to foresee or convincingly explain the Financial Crisis and the Great Recession, insisting that if you’ve got an engaging and coherent story to tell, you can tell it in a DSGE model. If you cannot, your story is incoherent” (P. ?). My Post-Keynesian response to Farmer’s DSGE overture and his challenge to DSGE skeptics is divided into three parts. I begin by sketching out Farmer’s self-styled “Post-Keynesian DSGE model,” focusing on those aspects of the model Farmer believes Post Keynesians will find most appealing in his new scheme. Next, I discuss some shortcomings in Farmer’s ostensibly Post-Keynesian rendition of DSGE theory, which, I contend, is neither a Keynesian theory, nor, arguably, a theoretical construction superior to Post-Keynesian Macroeconomics. Although Post-Keynesian Economics includes many different and not always mutually compatible ideas and concepts, I focus more narrowly on those aspects of Post-Keynesian theory that Farmer includes in his DSGE proposal, albeit from my own point of view, which has been informed by the economics of the original generation of Post Keynesians, which included Joan Robinson, Nicholas Kaldor, Frank Hahn, G.L.S. Shackle, Axel Leijonhufvud, et al. And, finally, I respond directly to Farmer’s challenge that Post Keynesians who reject his DSGE offer must “explain to neo-classical and new-Keynesian economists, in their own language, what they are doing wrong. “First, the views of participants in the stock market are an independent fundamental force that influences, not just the financial markets, but also the real economy. Second, the labor market is not an auction and the unemployment rate can potentially end up in many possible ‘equilibrium’ states. And third, government has an obligation to do something about this” (ibid.). Although Farmer is definitely a “General Equilibrium Man” (1999, p. X), he acknowledges that the model of general equilibrium he has in mind isn’t the grand once-and-for-all futures market of Arrow-Debreu (1954). In his own oddly critical depiction of Arrow-Debreu’s imaginary market, Farmer writes, “There clearly was no grand market meeting at the beginning of time in which we all traded date-, location- and state-specific commodities into the infinite future” (ibid.). In light of what Farmer evidently regards as the bizarre circumstances surrounding Arrow-Debreu’s imagined grand auction, Farmer turns instead to J.R. Hicks’s “one period temporary equilibrium,” which “may, or may not, be moving over time” (ibid.). Although Farmer adopts Hicks’s model of equilibrium, which is both less exacting and less comprehensive than Arrow-Debreu, he nevertheless proceeds to claim, “I see a real benefit in a research agenda that reconciles these ideas [Farmer’s three Keynesian ideas outlined above] with Walrasian general equilibrium theory” (ibid.). Farmer is also at pains to differentiate his product from the New Keynesian approach in which “aggregate quantities can be modeled ‘as if’ they were chosen by a single optimizing household with superhuman perceptions of future prices” (2017, p. 175). Although the representative household assumption is mathematically convenient, Farmer says it’s misleading because “a single household facing a decision problem will always choose a unique action” (2017, p. 176.). Now, I think what Farmer really means to say here is not that a single household facing the same decision problem will “always choose a unique action,” but rather that it “will always choose the same action,” – viz. the best possible action - in response to the same decision problem (my stress). Yet, if the same action is always chosen, the model adds nothing neNevertheless, given his original premise, Farmer wishes to “demonstrate that, by dropping the representative agent assumption, he can build models with multiple equilibria that can be Pareto ranked” (ibid.). Unlike the single representative agent, Farmer insists that “a household interacting with other households, most of whom have not yet been born, is a very different matter” (ibid.). “Even if the physical world were unchanging,” Farmer says, “we would still face uncertainty as to the ways that our descendants will behave in the future” (ibid.). In other words, “a model, populated by overlapping generations of finitely lived people, always has multiple equilibria,” to which Farmer adds for emphasis, “I will repeat that statement because it is so important and so misunderstood. A model, populated by overlapping generations of finitely lived people, always has multiple equilibria” (ibid., original emphasis). Although Farmer claims this proposition is “so important and so misunderstood” that it requires repetition for emphasis, it’s actually an ill-conceived characterization of the effects of overlapping generations on the beliefs of market participants. To begin with, Farmer claims, with very little argument, that overlapping generations are a sufficient condition of multiple equilibria. Thus, “a model, populated by overlapping generations of finitely lived people, always has multiple equilibria” (my stress). The missing link in Farmer’s argument, as far as I can ascertain, is the assumption that multiple macroeconomic equilibria are the result of market participants acting on multiple and inconsistent beliefs. But surely we can imagine a generation occasionally growing up during a stable period of history and holding the same general views as its predecessors. In the second place, we must add that overlapping generations are not a necessary condition of multiple beliefs either. In fact, there are a great many sources of multiple beliefs in addition to the flow of new generations into the economy. These include diverse sources of information that reach different people at different times if at all. In fact, this differential access to information was originally put forward by Robert Lucas to explain how producers might interpret a change in the general price level with a change in relative prices (Lucas, ). In addition to encountering different patterns of actual prices, market participants and policymakers may construe these prices from the standpoint of competing theories about how the economy works (e.g., see Edmund Phelps, Seven Schools of Macroeconomics ( ). By the same token, monetary policies under consideration by central banks, as well as fiscal policies under review by national governments, are apt to have different consequences depending on the theories of those trying to forecast these consequences. It’s important not to lose sight of fact stressed by Arrow and Hahn, which is that scientific discoveries and technological advances are constantly reshaping “the state space” in ways that cannot be predicted Arrow-Hahn ( ). Finally, there are the very hard-to-predict social and political developments that seem to emerge out of the blue, such as the relatively rapid political momentum for marriage equality among LGBT citizens in the U.S., and the rise of right-wing populism in the U.S. and parts of Europe. Recall that Farmer introduces overlapping generations into his Post-Keynesian DSGE model as a way of replacing the single-minded representative agents of the New Keynesian DSGE models with multiple agents who form different beliefs about prices and other economic variables. In Farmer’s view, this is a crucial step and requires a sharp break from Lucas’s rational expectations assumptions. “Lucas argued that we should think of beliefs as a function of some underlying state of nature that we could denote by S. Think of S as a die, cast by the gods. Economists refer to S as fundamentals. In Lucas’ theory, the central idea is that every time nature throws a six, the price P, takes the same value” (ibid.). Drawing on an earlier paper by John Muth (1961), Lucas called this idea rational expectations. Lucas assumed that there’s a unique mapping from fundamental states of nature to prices. But, Farmer claims, this is never true in the world of overlapping generations because the interaction among different generations gives rise to a variety of beliefs about the relationship between states of the world and future prices. As a consequence, Farmer argues, “We cannot dispense with an equation that selects the equilibrium. We must write down an ‘equation’ that specifies how people think about the future: something similar to the adaptive expectations assumption” ( ). Although Farmer agrees with Post Keynesians who reject the New Keynesian view that, in the General Theory, unemployment persists because wages and prices are slow to adjust, he nevertheless recounts a conversation he had with Don Patinkin who asked, “if The General Theory was not about sticky prices, what was it about?” (2017, p. 181). “I have an answer to that question,” Farmer proclaims, “the labor market is not an auction in which a fictitious character asks buyers and sellers to submit demands and supplies until he has found a set of market-clearing prices” (ibid.). Rather, the labor market “is a search market in which buyers and sellers are randomly matched.” To model this process, Farmer develops a “matching function” that describes the ways in which a filled job can be produced from given numbers of searching unemployed workers and searching members of the recruiting departments of firms” (ibid.). This matching function then determines the probability of a match between a firm and a job seeker. Nevertheless, this “labor market equilibrium is Pareto inefficient because there are not enough relative prices to allocate resources between competing ends” (2017, p. 182). With the addition of his “Keynesian search theory,” Farmer claims to have provided “a reconciliation of Keynes’ conception of involuntary unemployment with Walrasian equilibrium theory that is different and more elegant than the sticky price explanation of New-Keynesian economics” (2017, p. 176.). Unlike “classical search theory,” where the lack of prices required to determine the allocation of job search between unemployment and vacancies, is supplanted by the assumption that workers and firms bargain over wages, in Farmer’s “Keynesian search theory,” this multiplicity is resolved by incorporating a “new fundamental,” i.e., the influence of “beliefs about the future value of the stock market” on the decision making of firms and workers. Specifically, “The allocation of job search between unemployment and vacancies is pinned down by aggregate demand and aggregate demand is, in turn, determined by the animal spirits of participants in the asset markets.” (2017, p. 182, emphasis added). Summing up the essentials of his Post-Keynesian DSGE model, Farmer reaffirms Keynes’s claim that “animal spirits, aka beliefs, is an independent driving variable that shifts the aggregate demand curve up and down. As the curve shifts, so does its intersection with aggregate supply” (2017, p. 183). According to Farmer, the reason why the demand curve shifts unpredictably can’t be found in Keynes’s consumption function. Rather, we’re advised to focus on the relationship between consumption and wealth, and Farmer proceeds to point out that, in his “published research,” he has shown “that the wealth of market participants may move up and down in arbitrary ways driven purely by beliefs” (2017, p. 182). Thus, while Farmer agrees with Keynes that unemployment is often involuntary and can persist as a steady state equilibrium, he argues that Keynes “did not provide an adequate explanation of aggregate supply” because “the labor market is a search market, not an auction market,” and there aren’t enough prices to efficiently coordinate the behaviors of market participants” (2017, p. 184). Let’s return to Farmer’s aim of “reconciling Keynes’s economics with Walrasian equilibrium.” Although there aren’t many contemporary Post Keynesians who feel the same urgency about this objective as Farmer does, there is something distinctive about Keynes’s economics that comes into clearer view when we look at Keynes from the vantage point afforded to us by the Walrasian theory of general equilibrium. The insight we can gain from this perspective is, however, not only different from the proposition Farmer wishes to develop, it’s actually an obstacle standing in the way of Farmer’s attempt to bring Keynes into the realm of Walrasian general equilibrium theory. In rejecting the notion of a grand futures market that opens at the beginning of time where “we all traded date-, location- and state-specific commodities into the infinite future,” Farmer is, of course, rejecting the model of Arrow-Debreu, as there are no state-contingent commodities in Walras (1899). Yet, while Arrow-Debreu differs from Walras because they include contingent goods in their model and because their all-encompassing futures market only opens once, the Arrow-Debreu model of general equilibrium does correspond to Walras’s model in at least one crucial respect. In both Walras and Arrow-Debreu, the conditional intentions of market participants are pre-reconciled, or brought into harmony, before any transactions take place. In other words, the participants’ plans to buy and sell at known, agreed-to-prices are brought into mutual consistency before trading begins. In Walras, this result is achieved by a process of tâtonnement in which a central auctioneer calls out prices and market participants respond with offers to buy and sell until a vector of equilibrium prices is found. This process of pre-harmonization is an essential element in the story Walras tells about how a general equilibrium of conditional intentions might be achieved, with the vital stipulation that trading may not commence until such harmony has been achieved. This conception is similar to Keynes’s « Cooperative Economy », which is essentially a big consumer co-op where labor is offerred today for a share of specific output tomorrow ( ). Now, insofar as this process of matching inputs and outputs produces an efficient production plan for the « Coopertive, » then we can envision a pre-reconciliation of choices achieved along Keynesian, if not Walrasian, lines. Unfortunately, in rejecting the vision of those economists he calls the “sticky price Keynesians,” Farmer never comes to grips with the illuminating claim made by Leijonhufvud regarding Keynes’s relationship to Walras. Leijonhufvud describes the “economics of Keynes” as “classical economics without the auctioneer,” (1968, p. 48), which, given Leijonhufvud’s extended commentary, may also be rendered as “economics without a pre-reconciliation of plans,” that is to say, without anything resembling a Walrasian process of tatonnement in which market participants submit a list of their conditional intentions, that is, a description of what they’d be willing to do given what others would be willing to do, so that when trading begins, it will unfold in a manner consistent with this general equilibrium of plans. Farmer’s own claims to the contrary notwithstanding, the insight we gain by looking at Keynes through the lens of Walras is not that Keynes can be comfortably accommodated within a general equilibrium framework in which market participants are acting on the basis of pre-harmonized and mutually consistent beliefs. Quite the contrary, unlike Walras and Arrow-Debreu, Keynes was thinking about economies in which final commitments are made and actions are taken in the absence of such a Walrasian pre-harmonization of choices. Although this lack of pre-reconciliation is a feature of most real-world markets simply because decision making is decentralized and decisions are made in real time, Keynes chose to focus on what he saw as the general lack of coordination between the investment decisions of firms, on the one hand, and the saving decisions of the public, on the other. To illustrate the problem, which Leijonhuvufud characterizes as a communication failure in the market system of price signals, Keynes gives a simple example, pointing out that, while “an act of individual saving means – so to speak – a decision not to have dinner to-day,” “it does not necessitate a decision to have dinner or to buy a pair of boots a week hence or a year hence or to consume any specified thing at any specified date. Thus it depresses the business of preparing to-day’s dinner without stimulating the business of making ready for some future act of consumption” (1936, p. 210). 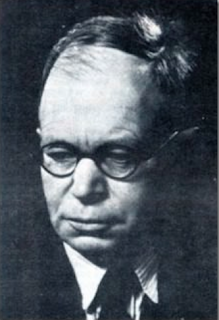 In Leijonhuvufud’s summary, “The first potential communication failure of the General Theory is that neither ‘a fresh act of saving' (General Theory, pp. 210ff.) nor a decline in investment will create an effective excess demand for future-dated goods to which the system will adapt” (Leijonhuvufud 1999, p.11). What’s the solution to this problem? There are several in fact. First of all, participation in Hicks’s weekly market meeting could be expanded to include consumers like Keynes’s frugal diner who’d like to order boots for the future, as well as producers, such as shoe leather suppliers who’d be willing provide the required materials in the future at prices ruling today. In other words, Hicks’s weekly markets could be turned into a sequence of Walrasian markets in which all plans are pre-reconciled before trading begins, i.e., Keynes’s Cooperative Economy, thereby avoiding the communication problem outlined above. Of course, Farmer rejects the Walrasian understanding of Hicks’s market as one in which “prices are adjusted by a fictional auctioneer who ensures that, conditional on the state of expectations, the quantities demanded and supplied of every good are equal” (ibid.). But having ruled out Walras’s “fictional auctioneer,” what’s Farmer’s solution to the problem? According to Leijonhuvfud’s reading, in the recent history of general equilibrium theory, the function of the auctioneer was taken over by the premise of rational expectations. Thus, while market participants can’t make decisions on the basis of known, agreed to, prices, they can make decisions on the basis of a statistically well-defined distribution of future prices. Although a great deal of Farmer’s work has, in fact, been undertakeen on the basis rational expectations, Farmer is now ready to move beyond this New Classicl approach to include the psychology of “animal Spirits,” which amount to spontaneous waves of confidence and doubt about the future value of the stock market. More formally, Farmer introduces a “belief function,” that is, “an equation which determines how much households are willing to pay for claims on the economy’s capital stock,” representing the aggregate state of confidence or ‘animal spirits’ and (in combination with the other six equations of the model, the belief function selects an equilibrium” (2016, p. 11). According to Farmer, his “belief function” is “a new exogenous variable that reflects investor confidence about the real value of their financial assets,” and, he goes on to say, “by making the belief function exogenous we provide a new interpretation of Keynes’ idea that equilibrium is selected by ‘animal spirits’” (2016, p. 12). Despite the addition of “animal spirits” to his Post-Keynesian DSGE model, Farmer continues to assume that the participants attending Hicks’s weekly market are, in fact, making decisions on the basis of the same forecasts of “future state-contingent prices and future production opportunities,” which rule out disequilibria arising from mutually inconsistent beliefs, and the necessary disappointments that follow. Although the practitioners of the DSGE approach may find this answer both “interesting and coherent,” to invoke Chari’s words, those economists outside the citadel will be inclined to ask a further question: “Are we to suppose that all of these consumers and merchants will be making their decisions on the basis of the same expectations regarding future state-contingent prices and production opportunities?” Recall that Farmer, himself, complains about the New Keynesian notion that “aggregate quantities can be modeled ‘as if’ they were chosen by a single optimizing household with superhuman perceptions of future prices” (2017, p. 175, emphasis added). So, once we purge Hicks’s market of the Walrasian auctioneer who pre-reconciles everyone’s condition intentions, and we allow the psychology of animal spirits to have whatever effects it may have on our orientation towards the future, how does the Farmer’s market actually allocate goods? It’s a hard question to answer, and Farmer offers little help. Having removed the auctioneer and the pre-harmonization of plans, we’re not likely to see an optimal allocation of saving and investment, which brings us back to Keynes and Post-Keynesian economics. After finishing his Treatise on Money (1930), Keynes carefully reviewed the concepts of income, consumption, investment, and saving, and explained that saving and investment are brought into balance ex post, that is, after “initial decisions” have been made, with saving being a residual. If the investment expenditure of firms exceeds the intended saving of households and output is inelastic as in the Treatise, then saving and investment will be brought into balance by some combination of the following: an increase in the price of consumption goods; an increase in the profit share of national income; and/or an increase in the rate of interest, all of which can be expected to reduce consumption and increase saving. On the other hand, if investment falls short of planned saving, then these variables will move in the opposite direction until the gap between saving and investment is closed. Finally, if output and income are allowed to expand and contract as in the General Theory (1936), then, in addition to the changes just mentioned, income will rise whenever investment exceeds intended saving and vice versa. These multiplier processes, in which saving adjusts to investment through changes in income, prices, and distribution – are essential to Post-Keynesian Macroeconomic Theory, but they find no place at all in Farmer’s Post-Keynesian DSGE theory. In Keynesian and Post-Keynesian models, there’s no pre-reconciliation of plans as in Walras or Arrow-Debreu. If we remove the assumption of straightforward rational expectations, agents will then be making decisions on the basis of inconsistent beliefs, which necessarily require out-of-equilibrium adjustments (to unforeseen and perhaps unforeseeable circumstances) rather than the carrying out of pre-harmonized plans. Leaving aside the question of whether Farmer’s DSGE framework is superior to Keynes’s or the Post-Keynesian approach, I think it’s reasonable to conclude that Farmer’s so-called “Post-Keynesian” DSGE theory, which, for all practical purposes, rules out the possibility of decisions taken without a pre-reconciliation of plans, is neither a Keynesian nor a Post-Keynesian model at all. I don’t know whether Keynes’s various multiplier adjustments can be coherently formulated within a DSGE model, though, as I’ve just argued, I certainly don’t think Farmer, himself, succeeds in this endeavor. In fact, Farmer fails, and his failure illuminates Chari’s own misguided prolegomena regarding the necessary formulation of all macroeconomic propositions within some kind of DSGE model. Trying to force Keynes’s “general theory of economics without ‘the pre-reconciliation of plans’” into a DSGE framework in which markets always clear rather defeats the whole purpose of this exercise. Chari’s claim that a “coherent” macroeconomic theory must be capable of being formulated within a DSGE model, and Famer’s grand project of bringing Keynes into the Walrasian fold, would be more compelling if it weren’t for the proofs derived by general equilibrium economists who, in their analysis of the stability of general equilibrium demonstrated that the path to an equilibrium is neither smooth, nor is its destination assured, nor does it exclusively involve changes in relative prices, which lie at the heart of the DSGE model. In particular, Sonnenschein (1972), Mantel (1972), and Debreu (1974) showed that out-of-equilirium price changes can alter incomes and wealth in ways that won’t necessarily push an economy into general equilibrium, let alone the same general equilibrium that would have resulted from a new pre-reconciliation of choices, achieved before any irrevocable commitments are made. Although the technical proofs of these propositions didn’t arrive until the 1970s, the notion that income, wealth, and their changing distribution influence aggregate demand and employment is an important theme in Keynes’s Treatise, in the General Theory, as well as in many contemporary Post-Keynesian models of the macroeconomy. Finally, in addition to this complication, Franklin M. Fisher (1983) has shown that agents exploiting opportunities for gain will not necessarily move an economy into equilibrium if there are “positive surprises” along the adjustment path. By “positive surprises,” Fisher means opportunities like those generated by Schumpeter’s process of “creative destruction.” To invoke a claim often stressed by Post Keynesians, “history matters,” which is to say that the economy’s trajectory at any point in real time will depend on the actual “path” the economy takes in arriving at its new position (if only because this path will influence what agents come to learn about their economic environment). In his outreach to Post Keynesians, Farmer makes the point, several times, that he can produce Keynesian results – enduring, suboptimal employment equilibria in particular – from a DSGE model with a Keynesian “belief function.” In other words, Farmer doesn’t have to rely on a non-DSGE model or on out-of-equilibrium behavior to reach these results. In general terms, the chain of reasoning leading to Farmer’s multiple equilibria runs as follows: 1) Once the single representative agent is replaced by multiple agents who must predict one another’s behavior, including the behavior of the unborn, the single-minded outlook of the former gives way to multiple beliefs about the future; 2) Insofar as these beliefs are inconsistent, the actions they inform will, by definition, be incompatible with a unique general equilibrium; and 3) Therefore, instead of a unique general equilibrium, we will find multiple equilibria some of which will be superior to others according to some standard welfare criteria. The relationship between multiple beliefs and multiple equilibria in Farmer’s argument requires a bit more explanation. Farmer refers to his paper on “The Evolution of Endogenous Business Cycles” (2014), where he explains that the “multiple dynamic equilibria” in his new models are each “represented by a different path for capital, labor, consumption, and GDP, and all of these paths converge back to the same steady state” (2014, p. 5, my stress). According to Farmer, “Which of the equilibrium paths prevails will be determined by the self-fulfilling beliefs of the agents in the model” (ibid., see also Farmer’s book, The Macroeconomics of Self-Fulfilling Prophacies [1999, 2nd ed., pp. 224-26]). If everyone believes a boom is coming, it will come, if it hasn’t already arrived. It’s important to notice that Farmer’s logic of self-fulfilling prophacies is more restrictive than one might expect. In the first place, logic dictates that the beliefs held by a group of people concerning, say, the stock market, e.g., whether it will rise or fall over the next six months can only be fulfilled if everyone holds the same beliefs, and provided, of course, that “belief” retains its customary meaning. If some agents believe the stock market will be higher six months hence, while others believe the opposite, then not all of these beliefs can be fulfilled. And once we move away from “all,” then we need to look at patterns and changes in beliefs (see M. Kurz). In addition to this logical constraint on beliefs, we must add the obvious diversity of views in real-world economies regarding not just relative prices, but all the economic, political, and social variables that affect these prices. Leaving these logical and statistical points aside, if Farmer had begun with what’s in plain view, that is, the multiplicity of beliefs at work in every contemporary political economy, he might have avoided these problems. Moreover, with so many diverse beliefs so close at hand, Farmer wouldn’t have had to invent his own rather peculiar source of multiple beliefs, viz. “the unborn,” and our uncertainty about “the ways that our descendants will behave in the future.” Of all the potential sources of economic uncertainty, the unpredictable behavior of the next generation is an odd place to begin if only because references to the behavior of future generations are rarely seen in the reported remarks of financial market participants. If, by contrast, we begin with the actual articulated beliefs of these market participants, then we can easily catch sight of more familiar differences, e.g., investors who say they’re “bullish” or “bearish” on a particular company, sector, or currency, as well as commentators who excoriate the Federal Reserve for pursing policies that will unleash an inflationary spiral sitting alongside other analysts who calmly point out that prices are barely rising. Farmer seems to realize that the rubicon he cannot cross to join the Post Keynesians is the “radical uncertainty” that “you Post Keynesian types keep harping on” (2017, p. 8, emphasis added). Although Farmer grants that Post Keynesians may have a point about this “radical uncertainty,” he proposes to ignore it on the grounds that he doesn’t see “how we can make any progress if we assume that nobody knows anything about the future” (ibid., my stress). Given Farmer’s understanding of “radical uncertainty,” it’s not surprising that he urges Post Keynesians to “suspend disbelief and accept the assumption that the future is characterized by what Frank Knight called risk as opposed to uncertainty” (2017, p. 10). Yet, Farmer’s suggestion is rather like pleading with Post Keynesians to ignore what Keynes actually said about probability in his book about probability ( ), in The General Theory (1936), and in his 1937 summary statement of the General Theory in the Economic Journal (1937). More specifically, it’s as if Farmer were to say to Post Keynesians, “let’s dispense with the distinction between our judgments about probabilities and the weight we attach to these judgments, as well as all the difficulties we encounter in preparing statistical data so that it can be usefully compared across time and place,” points originally stressed by Keynes, but now an integral part of Post-Keynesian Economics. The characterization of “radical uncertainty” as an the assumption that nobody knows anything about the future” (ibid., my stress) is an absurd conception, and its absurdity is perhaps only surpassed by Farmer’s own “compromise” framework for handling uncertainty. Farmer proposes to divide uncertainty into two parts: 1) “features of the real world that arise because nature rolls a loaded and time varying die,” and 2) “features of the real world that arise from the way human beings react to this fact” (2017, p. 9). How could you tell these apart? In practice, it’s much harder to sustain this distinction than Farmer’s protocol suggests. For example, which aspects of a trade war arise because nature “rolls a loaded and time varying die,” and which aspects arise from “the way human beings react to this fact”? The same general difficulty emerges when we try to separate these two contributing factors in connection with such events or trends as political campaigns, real wars, central bank policymaking, or an increase in leveraged buyouts. The difficulty with Farmer’s dichotomy is that it ignores the fact that it is human beings, with our evolving beliefs, judgments, and actions that produce the “loaded and time varying die,” or, to put it even more starkly, “we, ourselves, are the loaded and time varying die.” Farmer urges Post Keynesians to “suspend disbelief and accept the assumption that the future is characterized by what Frank Knight called risk as opposed to uncertainty” (2017, p. 10). I’ll return to this alternative conception of the agent in a moment, but first let’s take a closer look at Farmer’s “belief function,” which he puts forward as an alternative name for Keynes’s “animal spirits.” Although Farmer doesn’t give a definition of “animal spirits” in his Post-Keynesian DSGE paper (2017), in a related paper, “Animal Spirits in a Monetary Model” (2016) co-authored by Konstantin Platonov, he describes “the belief function” as “an equation that determines how much households are willing to pay for claims on the economy’s capital stock,” adding that the belief function “represents the aggregate state of confidence or ‘animal spirits’ and, in combination with the other six equations of the model, the belief function selects an equilibrium” (2016, p. 11). According to Farmer, his “belief function” is “a new exogenous variable that reflects investor confidence about the real value of their financial assets,” and, he goes on to say, “by making the belief function exogenous we provide a new interpretation of Keynes’ idea that equilibrium is selected by ‘animal spirits’” (2016, p. 12). This is not actually what Keynes was referring to when he coined the term, “animal spirits.” Rather, Keynes was drawing attention to the fact that a purely quantitative analysis of the costs and benefits of undertaking a major and irrevocable investment in plant and equipment typically won’t yield a clear result. Thus, Keynes writes, “a large proportion of our positive activities depend on spontaneous optimism rather than on a mathematical expectation” (1936, p.161). 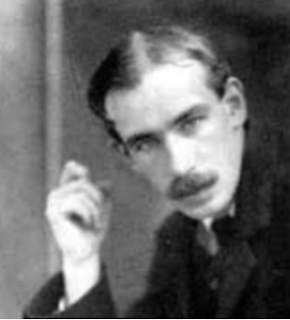 In fact, Keynes goes quite a bit further, “Most, probably, of our decisions to do something positive, the full consequences of which will be drawn out over many days to come, can only be taken as a result of animal spirits – of a spontaneous urge to action rather than inaction, and not as the outcome of a weighted average of quantitative benefits multiplied by quantitative probabilities” (ibid.). Keynes’s own discussion of “animal spirits” departs from Farmer’s in several respects, but one stands out in particular. Keynes is making a general point about the limits of quantitative analysis and the difficulties involved in trying to assign meaningful probabilities to such things as the price of oil or the strength of trade unions two decades hence. In contrast to Keynes’s point about the paralyzing uncertainty surrounding most quantitative analyses, Farmer wants to construe “animal spirits” as a “new exogenous variable” in a formal mathematical model, which reflects “investor confidence about the real value of their financial assets,” and which, in turn, “selects” a high-output equilibrium when investors are “confident” and a low-output equilibrium when they are not. The trouble is that Farmer also wants to hold onto his general view that agents make decisions on the basis of quantitative calculations, which is inconsistent with Keynes’s basic point about the limitations of such calculation. Returning to my (Post-Keynesian) characterization of the agent as a “loaded and time varying die,” there are two points I want to stress. The first is that human action, unlike (say) the behavior of the ocean tides, is typically the outcome of a process of reasoning as well as causation. To appreciate this understanding of the agent, it’s essential to bear in mind that, while our mental powers include our ability to calculate, these powers are by no means exhausted by our capacity to solve constrained optimization problems (see S. Hampshire PMS Hacker 2015). We’re able to assess “the news” and its effects on our interests, envision alternatives and their possible lines of development, create decision trees that allow for mid-course corrections if events turn against us, and make decisions that could go either way. By contrast, the agents in DSGE models are typically granted a huge bounty of foreknowledge, e.g., a complete list of possible states, their probabilities of occurrence, and an economic model that converts states into prices, which leaves agents with nothing to do but calculate. The second point I want to emphasize is that, once we construe agents as active subjects whose mental powers grant them a measure of autonomy, it’s easy to understand why their beliefs are likely to be diverse and often inconsistent with one another. It would be quite surprising if today’s “masterless” men and women chose a variety of ends to pursue, but held uniform beliefs about the history, current state, and likely trajectory of the economy. I’m just going to assert here that, in Keynes’s view, the results of our reasoning are not well-conceived as the value of a belief function that has only one dimension, viz. “investor confidence about the real value of their financial assets.” Yet this one-dimensional result is the outcome we get if we assume, as Farmer does, that agents hold either: (1) “fixed beliefs,” where, “in the collective view of market participants, the real value of the stock market has some fixed real value measured in terms of the CPI” [2016, p. 11]; or (2) “adaptive beliefs,” which “amounts to the assumption that, in the collective view of market participants, the real value of the stock market is a random walk” [ibid.]. Surely this is question-begging. For example, in the “fixed beliefs” alternative, do all market participants share the same view of “the real value of the stock market” or do they hold different views? And in the “random walk” version, do all market participants regard stock market prices as a random walk? Do those agents who hold either a random walk view or a non-random walk view all react to their belief in the same way? Although Farmer draws attention to the existence of multiple beliefs, he doesn’t say much about those beliefs that actually matter in economic decision making. Of course there are some participants in the financial markets who hold the “random walk” view of stock prices, but what about investors whose decisions are influenced by Austrian, Old Keynesian, Monetarist, New Keynesian, or purely Quantitative Analysis? Although Farmer calls his scheme a general equilibrium model, it isn’t a model in which all the various parts are mutually interdependent. There’s a clear causal direction that goes with his Post-Keynesian DSGE model. Thus Farmer’s narrative begins with Keynes’s “animal spirits,” which he now calls “beliefs,” and which he says are a new “fundamental,” alongside technology, preferences, and endowments. When “beliefs” about the future value of stocks turn from bearish to bullish, market participants believe they have more wealth and vice versa. Since Farmer is convinced that consumption spending is a function of wealth rather than current income, bullishness on the stock markets will lead to increased spending, just as bearishness will lead to reduced spending. In short, aggregate demand will rise or fall as the stockholding public becomes more bullish or bearish. Aggregate supply, in turn, easily adapts to aggregate demand because firms typically have excess capacity and sell at prices that exceed their marginal costs. And, finally, in Farmer’s Keynesian, non-auction labor market, “the allocation of job search between unemployment and vacancies is pinned down by aggregate demand and aggregate demand is, in turn, determined by the animal spirits of participants in the asset markets” (2017, p. 18). Although Farmer is confident he’s following Keynes in making “animal spirits” a fundamental element in his Post-Keynesian DSGE model, Keynes never assumed that the “animal spirits” which give rise to all of the adjustments outlined above are not at all affected them. For Post Keynesians (and others I suspect), there’s a significant cost incurred in construing “animal spirits,” or “beliefs,” as “fundamental” if this means ignoring the way in which aggregate demand, aggregate supply, and labor market tightness influence beliefs. In addition to treating beliefs as if they emerge ex nihilo, Farmer’s treatment of aggregate supply and aggregate demand as independent variables ignores one of the foundation stones of Keynes and Post-Keynesian Economics, which is that, while these curves may be independent at the firm level, or even at the industry level, they are certainly not independent at the aggregate level (see Sraffa). In contrast to Farmer’s depiction of aggregate supply effortlessly adjusting to aggregate demand, we find in the General Theory a narrative in which firms must estimate their profit-maximizing output, and in which the hiring decisions required to achieve this output go a long way towards determining aggregate demand. Of course, many factors affect aggregate demand, but the employment decisions of firms in the aggregate is surely one of the most important. By contrast, if we follow Farmer and make supply entirely a function of demand, and demand entirely a function of animal spirits, then we’ve really missed Keynes’s whole point about effect of “animal spirits” on firms’ willingness to make supply commitments with no guarantee that the extra output can be sold at the prices originally forecast. How does Farmer’s conception of a “Keynesian search market” differ from Keynes’s own understanding of the labor market? To begin with, Keynes stressed the point that firms and workers don’t bargain over the real wage; they bargain over the nominal wage, with the real wage being determined in the commodity market by the prices of wage goods. This understanding is based on a different temporal sequence than the one Farmer has in mind It runs as follows: (1) Firms choose what they believe will be profit-maximizing levels of output; (2) Firms hire labor to produce this output at the going wage; (3) Firms produce their planned output, making adjustments as new information arrives; and (4) Firms sell their output at the prices ruling when their goods are brought to market. By contrast, in what Farmer calls “classical search theory,” it is assumed that, in the absence of an “auction market,” workers and firms will “bargain over wages.” One possible outcome of this process is that a less than optimal number of bargains will be struck, a result that becomes more likely if decisions to search generate positive externalities (see Peter Diamond). Farmer replaces this “classical search theory” with what he calls a “Keynesian search market” in which the probability of “matching” is a function of beliefs about “the future value of the stock market” (2017, p. 18). Granted, business executives who are bullish on the stock market may reasonably expect an increase in demand via the same wealth effect Farmer stresses. But workers who own stocks individually or through their pension funds and who believe the value of their portfolios is going to increase will experience cross pressures. On the one hand, increased wealth reduces the marginal benefit of additional wealth and income, which may reduce, in turn, the appeal of an intensive job search. On the other hand, looking for a new job during an economic boom is generally more rewarding than searching for work during the downside of the business cycle. These varied reactions to rising stock prices are not without empirical interest given the heterogeneity of the labor force, which is also ignored in Farmer’s “Keynesian search market.” For brevity’s sake, I’m simply going to mention without elaboration a few of these differences as they pertain to the U.S.: 1) Only 48% of the adult population in the U.S. owns stocks either individually or through pensions and deferred income plans, down from 61% in 2007 [see here]; 2) The median financial assets of U.S. households approaching retirement [55-64 years old] is less than $20,000, which does not include home ownership or defined benefit pensions [see here]; and 3) More than one-third of U.S. households, many of them with middle-class incomes, have so few liquid assets they are essentially living “hand-to-mouth” [see here]. Although these statistics aren’t necessarily inconsistent with the proposition that firms will increase output when their owners are bullish on stocks, they certainly cast doubt on the proposition that the workforce, or at least a significant part of it, makes labor search decisions on the basis on stock market valuations. The people studied by Keynes’s and his Post-Keynesian followers are not the straightforward maxmimizers of the DSGE models, acting on given possibilities and opportunities. Rather, these agents confront problems that must often be carefully formulated before they can be addressed and resolved. something new and unpredictable into the flow of events (See Shackle on this crucial point). Although saving and investment decisions aren’t pre-harmonized in actual economies, nor are they made on the basis of straightfoward rational expectations. Yet the problem of coordinating saving and investment disappears from Farmer’s DSGE model, which includes nothing like the Keynesian multiplier to achieve this result. Without a pre-reconciliation of plans, market participants will end up acting on the basis of inconsistent beliefs, many of which will be disappointed. Yet there’s no out-of-equilibrium adjustment process in DSGE models and no very good reasons for thinking that prices, incomes, and their distribution will change in such a way as to bring the economy into equilibrium. Farmer’s two-part approach to uncertainty breaks down insofar as we think of ourselves as autonomous agents. Arrow, Kenneth J. and Debreu, Gerard, 1954, “Existence of an Equilibrium for a Competitive Economy,” Econometrica, Vol. 22, No. 3., pp. 265-290. Arrow, Kenneth J. and Hahn, Frank, 1999, “Notes on Sequence Economies, Transaction Costs, and Uncertainty,” Journal of Economic Theory 86, pp. 203-218. Backhouse, Roger E. and Boianovski, Mauro, 2013, Transforming Modern Macroeconomics: Exploring Disequilibrium Microfoundations, 1956-2003. Cambridge: CUP. Dixon, Robert, October 2011, “Profits and the expectation of profits as "the mainspring of change in Keynes,” Working Paper PKWP1108. Duarte, Pedro Garcia, 2011, “Recent Developments in Macroeconomics: the DSGE approach to business cycles in perspective.” In Wade Hands and John Davis (eds. ), The Elgar Companion to Recent Economic Methodology. Cheltenham, UK: Edward Elgar, pp. 375-403. Theory,” European Journal of Economics and Economic Policies: Intervention, Vol 14(2), pages, 173-185. Farmer, Roger, 2016, “Post-Keynesian Dynamic Stochastic General Equilibrium Theory,” paper prepared for the 20th annual conference of the FMM Research Network on Macroeconomics and Macroeconomic Policies, “Towards Pluralism in Macroeconomics,” held in Berlin on October 20th – 22nd 2016. Roger E.A. Farmer. NBER Working Paper No. 23109. Farmer, Roger E. A., 2017b, Prosperity for All, Oxford UP. Farmer, R. E. (2012b). “Animal Spirits, Persistent Unemployment and the Belief Function, in R. Frydman, & E. S. Phelps (Eds. ), Rethinking Expectations: The Way Forward for Macroeconomics (pp. 251-276). Princeton, NJ: Princeton University Press” (P.17). Farmer, R. E. (1993), The Macroeconomics of Self-Fulfilling Prophecies for a discussion of the role of multiple equilibria in macroeconomics”(p. 6).Fisher, Franklin M, 1983, Disequilibrium Foundations of General Equilibrium. Cambridge: CUP. Hacker, P.M.S. (2010) Human Nature: The Categorical Framework Oxford: Wiley-Blackwell. Hahn, Frank, 1984, Equilibrium and Macroeconomics. Oxford: Blackwell. Hahn, Frank, and Solow, Robert, 1995, A Critical Essay on Macroeconomic Theory. Oxford: Blackwell. Keynes, John Maynard, 1930, A Treatise on Money. London: Macmillan. Federal Reserve Bank of Minneapolis Quarterly Review, pp. 49-70. Front Line. Cambridge: MIT Press, pp. xiii-xiv. Phelps, Edmund. (1990). The Seven Schools of Macroeconomic Thought. Oxford: OUP. Shackle, G.L.S., 1974, Keynesian Kaleidics. Edinburgh: Edinburgh University Press. Walras, L., 1899, Elements of Pure Economics, 4th ed. 1926, rev ed. 1926, Engl transl. Keynesian Economics (Vol. 4 No. 1, Spring). JEL Keywords: General Equilibrium; Post Keynesian; DSGE Theory; Uncertainty; Autonomous Agent; B2 History of Economic Thought since 1925; B13 Heterodox Economics; B13 Neoclassical through 1925 (Austrian, Marshallian, Walrasian, Wicksellian). EL Keywords: General Equilibrium; Post Keynesian; DSGE Theory; Uncertainty; Autonomous Agent; B2 History of Economic Thought since 1925; B13 Heterodox Economics; B13 Neoclassical through 1925 (Austrian, Marshallian, Walrasian, Wicksellian).